Washing day near Snowden St. Park Mill is visible in the background. This is The back of John brown st. and Snowden st. My back yard was on the right a couple of doors down. 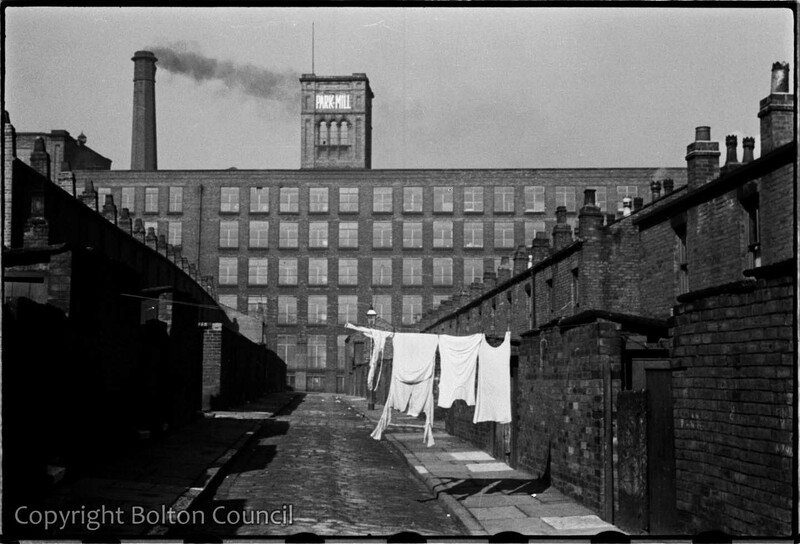 this is back snowden/orm street that was level with the park mill tower. You can just see Bayley’s Persian Mill chimney poking out behind Park Mill chimney.